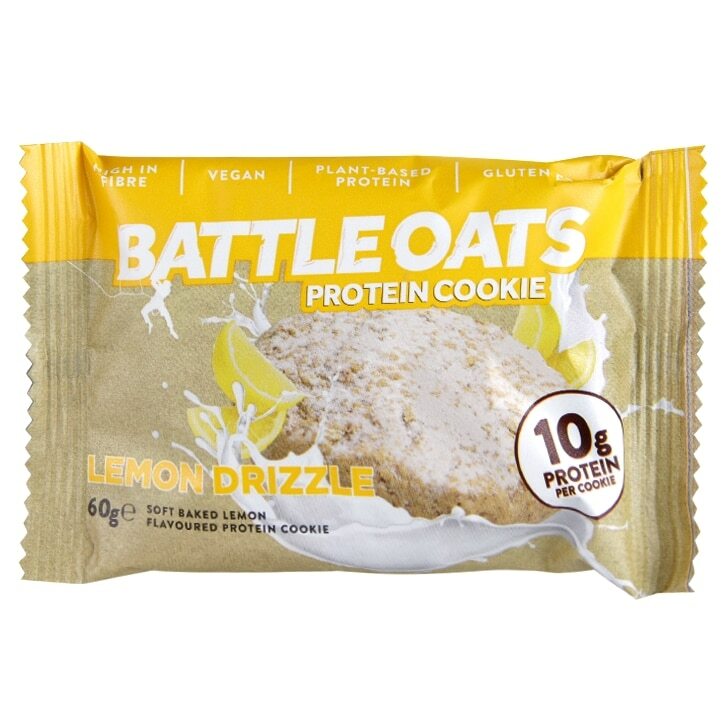 Battle Oats Lemon Drizzle Cookie is rated 2.5 out of 5 by 6. Rated 1 out of 5 by GT18 from lemon drizzle Sorry -did not like these at all and unfortunately bought 4 ! Can't think what to do with the other 3 ! Rated 2 out of 5 by hannahbanana1234 from Odd Taste is a bit strange, it tastes more like lemon spice rather than drizzle. The sweetness is good, but it's a bit chalky and not very cookie like. Has a slightly bitter after taste, not so keen on this flavour!